Gruesome boys and girls will love this Gooey Alien Egg. 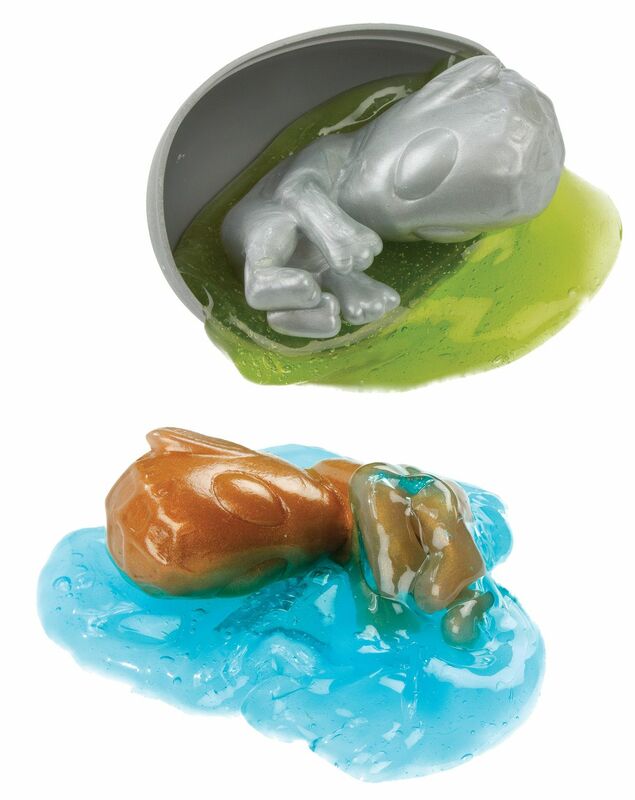 The stretchy alien embryo is wrapped in a translucent, jelly-like goo, all contained in a plastic eggshell. The fire and accompanying putty can be used to create lots of disgusting 'alien autopsy' games, or just idly squashed and manipulated as desired. The eggs and aliens come in either gold or silver colours, with assorted colours of goo. Completely gross!